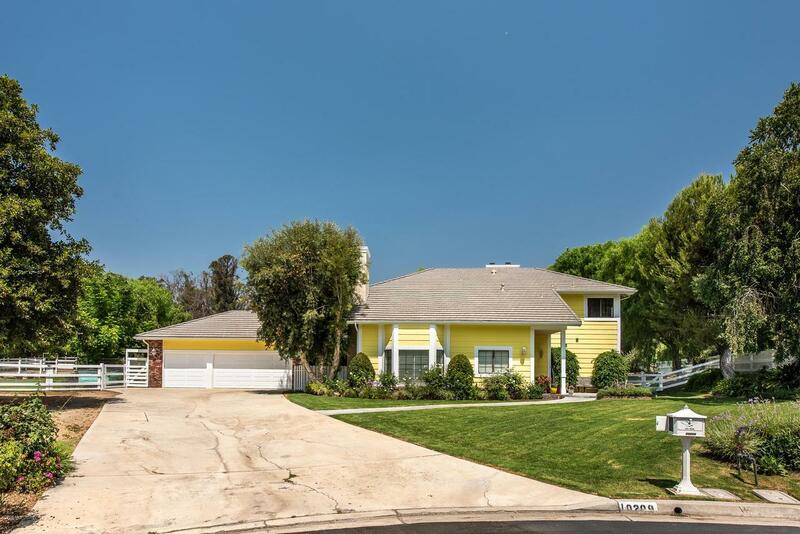 Stunning property nestled in a cul de sac, this 4 bd/3 ba home features three generous bedrooms up and one down w/bath with a well designed floor plan which shows sparkling, sunny and spacious. 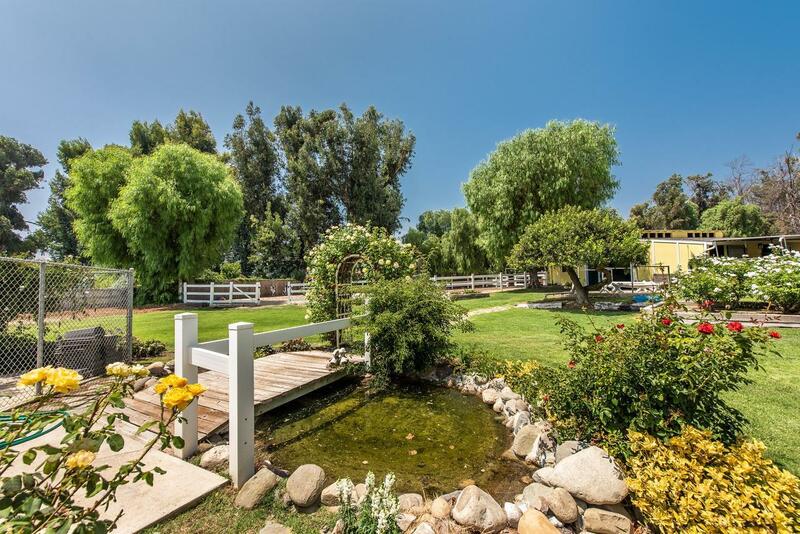 Gorgeous pastoral views and park like grounds. Amazing upgraded home has charm galore featuring high ceilings with bead board and chair rail moldings, inset window seat, reading loft/office up, redone kitchen that is open to family room with warm fireplace. 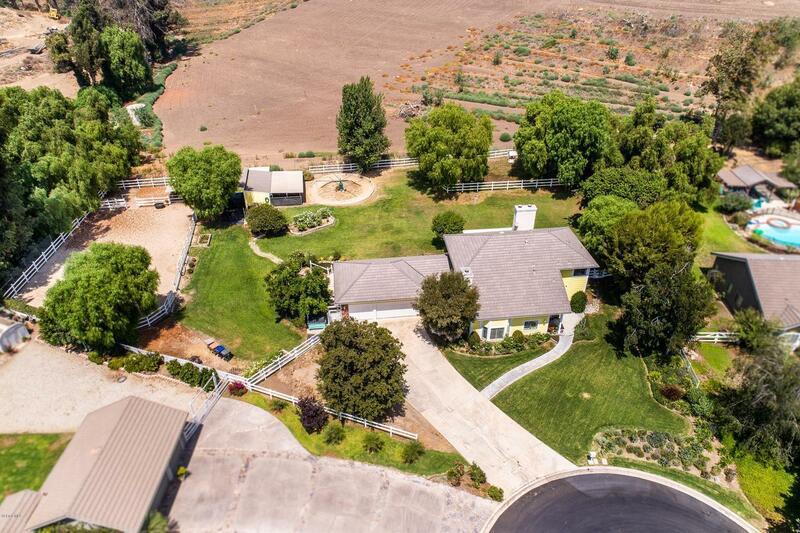 Romantic master suite has fireplace and great views.This home has incredible horse facilities, including Breezeway barn, feed storage, tack room, sand arena, covered turnouts,electric hot walker, additional fenced pasture, wash rack and so much more. In addition there is a pond, beautiful landscapes front and back and still plenty of room for a pool/spa and tennis court! Property is conveniently located to miles and miles of exceptional trails. 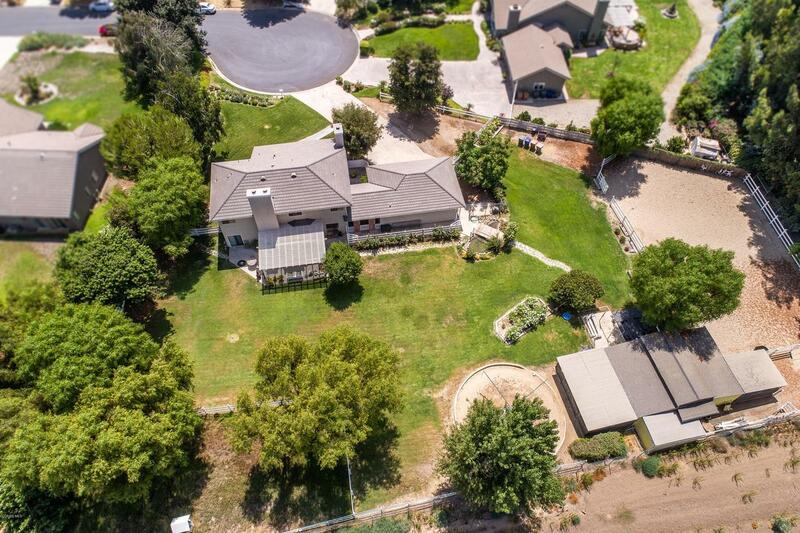 This offering is truly a gem located in the sought after Santa Rosa Valley renown for it's climate, trails and award winning schools. Don't miss this rare opportunity! Sold by BRE#00979849 of Re/Max Gold Coast Realtors.